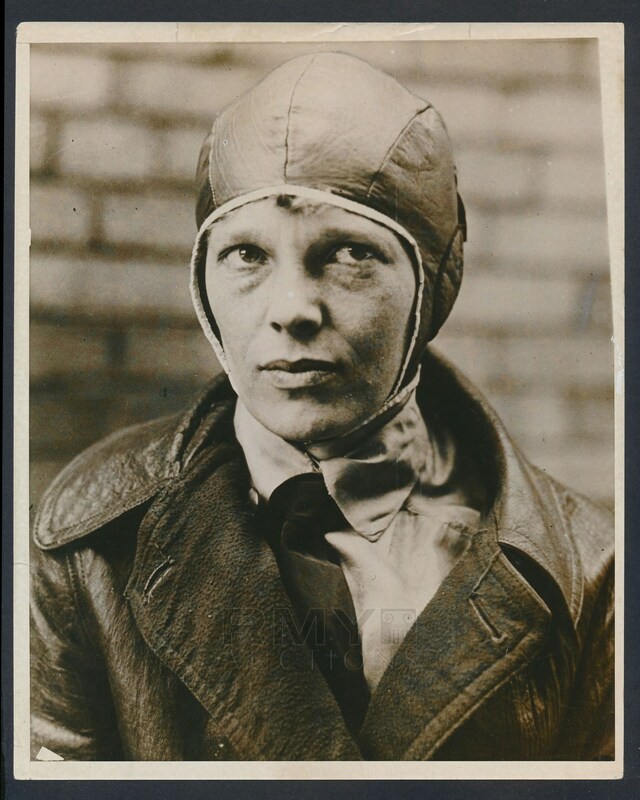 Lot # 20: 1928 Amelia Earhart, Breathtaking Large Portrait Photo in Flight Suit, One of the Best! Absolutely gorgeous 1928 portrait style photograph of a young Amelia Earhart in flight suit and posing for the photographer. Large image is in nice condition and ranks among the best photographs ever taken of this iconic aviator. 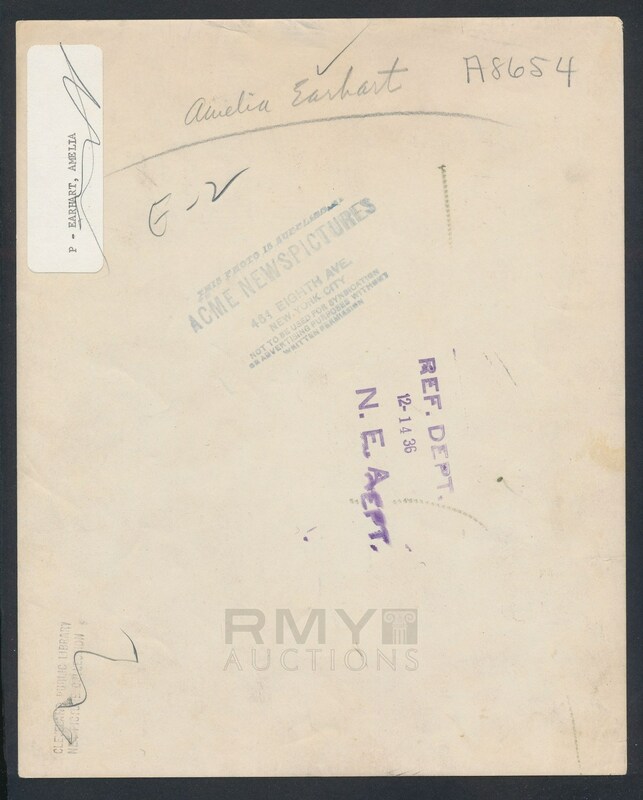 File marked 1936 on the back from NEA but the original Acme stamp on the back was only used from 1925-1930 making this ABSOLUTELY an original to when it first taken in 1928! One of the Best!